Does going to a secular college drive students away from Christian faith? According to one study, the answer is a solid “No.” See FactChecker: Does College Cause Young Adults to Lose Their Faith? on The Gospel Coalition blog. Among recently surveyed college students, 2.7 times more report that their religious beliefs have strengthened during their college experience than say their beliefs weakened. 1) The increase in presence and effectiveness of campus-based ministries like Campus Crusade, InterVarsity, and Young Life. 2) The increase of relativism and the decline of strict scientism, which allows for discussion of faith and spiritual speculation, similar to what Paul experienced at the Aeropagus. 3) An increase in committed evangelical and Catholic faculty at secular universities in America who can serve as an encouragement and balance for Christian students. I would suggest a fourth reason: Christian students at secular universities have interacted with non-Christians and their ideas, and have had to work through issues in the real world rather than in the insulated environment of a Christian university. For many Christian students, facing these challenges has strengthened their faith. I am curious as to how Christian students who attend secular universities compare in the long run to those who attend rigidly young-Earth schools, such as those listed on Answers in Genesis’ Creation Colleges page. P.S. One of my children graduated from a fine Christian college a year ago (Trinity Western University in Langley, British Columbia), and has a good foundation for a lifetime of faith and service. Two of my children are currently attending a state university, and are growing in their Christian faith in many ways that didn’t occur in the home or in youth group in high school. Both are active in InterVarsity Christian Fellowship. THE DEATH OF GOOGLE READER — Since the untimely demise of Google Reader a couple weeks ago, I haven’t been keeping up on the fifty or so blogs I followed somewhat regularly. Somehow I have survived. I will have to choose a new RSS agreggator. Any suggestions for one that works somewhat like Google Reader did? It has been almost two months, so either my critique was devastating and unanswerable, or not even worthy of a response. Or Tas might just have gotten behind on his blog responses, which I have been guilty of far too often. Last Child in the Woods is a fascinating book, though at times, Louv leans toward a form of nature mysticism. Nevertheless, Christians will read this book to great profit, remembering that the biblical worldview presents an affirmation of the goodness of creation. After all, Christians know that every atom and molecule of creation testifies of the glory of God. This is our Father’s world, and we would do well to receive this world and enjoy it, while giving praise and glory to God for the beauty and bounty it contains. We understand that nature is not an end to itself, and we affirm that the creation exists as the theater of God’s glory for the drama of redemption. All this should help Christians to remember that we honor God most faithfully when we receive His good gifts most gratefully. Christians should take the lead in reconnecting with nature and disconnecting from machines. Taking the kids for a long walk in the woods would be a great start. KEN HAM AND SONLIGHT CURRICULUM — We homeschooled our children in their early elementary years, and used a lot of material from the excellent company Sonlight Curriculum. A co-founder of Sonlight had the nerve to criticize Answers in Genesis president Ken Ham for his if-you-don’t-agree-with-Ham-you-are-a-compromiser approach to Christian ministry. I guess he didn’t know that Thou Shalt Not Criticize Ken Ham. John Holzman has apologized to Ken Ham for using the phrase “Pope Ham.” I would like to see Ken Ham apologize for his divisive my-way-or-the-highway attitude that causes many of his followers to look at old-Earth Christians as compromisers at best and not Christians at all at the worst. Even young-Earth Creationists who disagree with Ham incur his anger. See Ken Ham’s Christian Leader Criticizes Creation Museum and Jay Wile’s Upset Creationist. If there is any area in which a rapprochement would be for the benefit of all, this is it. Eliminating the left’s grip on the environmental movement, and especially on government bureaucracies like the Environmental Protection Agency (EPA), would give it more credibility among the American public, and broaden its influence. It would mitigate the statist impulse that so often informs its political campaigns by encouraging the sort of market oriented strategies that often work best. It would curb conservatives’ tendency to oppose environmental regulation in the name of free enterprise no matter how necessary that regulation in a particular case might be. In short, it would help liberals and conservatives alike to see that Christianity, care for the environment, and commitment to a free market economy need not be, and never should have been, rivals in a zero-sum game. 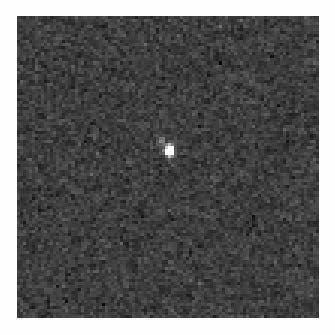 ZOOMING IN ON PLUTO — The New Horizons probe is still 550 million miles from Pluto, which it will fly by two years from tomorrow (on July 14, 2015), but its cameras are already aimed at the dwarf planet and its moons: NASA Spacecraft Photographs Pluto’s Largest Moon Charon. I have been excited about this mission since it was launched in 2006, back when Pluto was still a planet. A NATIONAL PARK ON THE MOON? — There is a proposal in Congress to create a National Historical Park on the moon to commemorate and protect the six Apollo landing sites: Moon Bill Would Create National Park to Protect Apollo Landing Sites. Given the historical significance of these sites, I think this is a good idea, even though the sites are not in the sovereign territories of the United States. However, given human nature, I predict that artifacts at these sites will be disturbed and/or stolen by the end of this century. 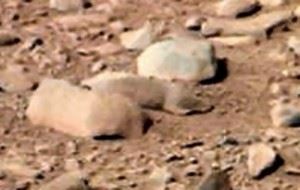 THE RAT ON MARS — In case you missed it, this may have been a bigger cover-up than the Face on Mars. NASA has completely ignored clear evidence of mammalian life on Mars: Curiosity Rover leaving ‘Mars rat’ behind. NOT A GOOD TIME TO BE A CHRISTIAN IN THE MIDDLE EAST — For obvious reasons, Christians in countries such as Egypt and Syria tend to be wary of “Islamist” governments. The Islamist response tends to be rather harsh: Egypt’s Christians face backlash for Morsi ouster. You may have been wondering, but I am still alive. I just haven’t been blogging for awhile. More important things have been taking up my time, such as my son’s wedding last week in British Columbia. Some day, however, I will be dead. 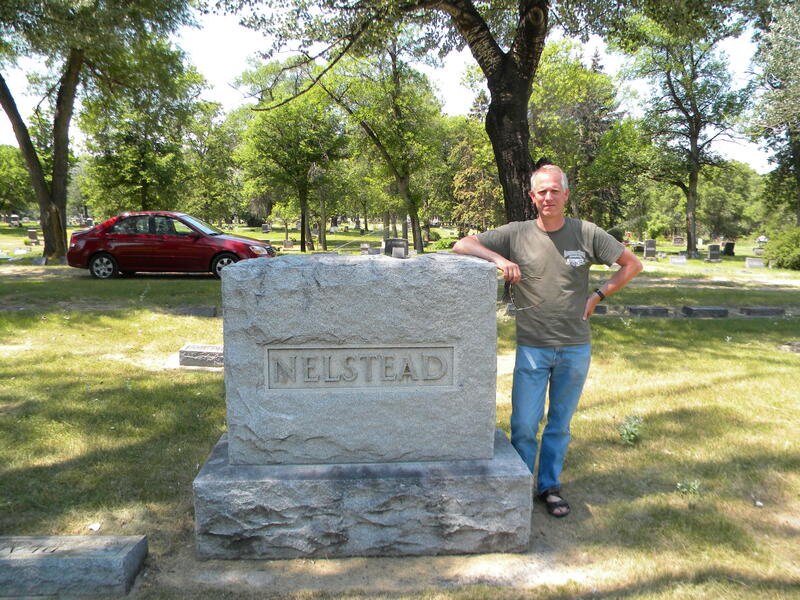 I’ll be under a tombstone, providing nutrients for worms and soil bacteria. But as a Christian, I believe that my death will not be the end of my existence. The Christian hope is for physical resurrection in a real body in a real physical realm—the New Earth. Just as Christ rose from the dead in glory with a real body—he ate real food and invited Thomas to touch his wounds—so also will we be given a new body that will be freed from the corruption that characterizes our current existence. The biblical picture of the resurrection is not one of disembodied spirits floating in the clouds playing harps. This ethereal existence is what many people picture as “eternal life,” but it is not found in the Bible. The Bible does not portray us going up to “heaven” as much as it paints a picture of heaven coming down to Earth. At that point, God’s people will experience the oft-repeated Old Testament promise that “I will walk among you and will be your God, and you shall be my people” (Lev 26:12 ESV). I look forward to that day with joyful anticipation.